Hiring someone to work inside your house can be intimidating and overwhelming. This person will likely have access to you, your family and your belongings, so you need to make sure you’re opening your home to a contractor with a spotless reputation. How do you know who you can trust? Of course you’d like to think that anyone you hire will work ethically, responsibly, and with your best interests at heart. However, we’ve all heard about remodeling scams, disasters and mistakes where an unlicensed or amateur contractor leaves the homeowner dealing with unfinished projects or dangerous living conditions. To minimize your fears and potential risk, do your research by reading online reviews, calling references and checking with a building inspector or other industry expert. 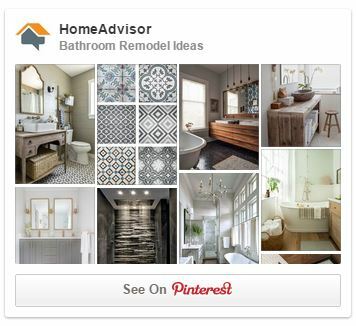 You can find a directory of professional contractors and browse reviews on HomeAdvisor.com. Your local Better Business Bureau can also give you a good idea of a contractor’s reputation. Value: Keep in mind that you usually get what you pay for. Get several different quotes and be wary of any outliers. If a project is underbid by thousands of dollars, it’s safe to assume that corners will be cut. An honest professional will work with you to establish an estimate and negotiate a fair contract and payment schedule. Focus: When reading reviews and talking to others, ask if the contractor was respectful and courteous. This will help you identify someone that will put you first by working with your family’s personal needs and timeline. A contractor that is primarily focused on making a profit and finishing as quickly as possible might have little regard for your schedule. Livability: Make sure your contractor has a plan for dealing with the No. 1 threat to livable remodeling – dirt and dust. Indoor air quality during a remodel is a serious issue. Even though remodeling dust can damage your short- and long-term health, some contractors will literally brush it under the rug. To protect you and your family from annoying and potentially dangerous air particles, select an experienced contractor that uses the most effective tools and processes for dust elimination, such as the BuildClean Dust Control System. Safety: Ask your contractor to obtain all necessary permits to help protect you against unsafe work and legal issues. Projects done without proper permits leave you liable for any improper work, mistakes and in a potentially dangerous situation. Make sure your contractor has a license, appropriate certifications and business insurance. Inviting a contractor into your home doesn’t have to be scary. In fact, it should be a safe and comfortable experience for you and your family. Do your research, ask questions and create a plan that includes timeline, logistics, livability, safety and a payment schedule. Set guidelines and communicate openly, so that both you and your contractor can work and live comfortably in your home. A Division of Illinois Tool Works | Brian has extensive experience in the home remodeling market through working alongside his grandfather, a carpenter in Chicago, and through his work at ITW, a Fortune 200 company, and other businesses. At ITW, he leads the team that developed the new BuildClean Dust Control System, a groundbreaking invention that has transformed the way contractors manage remodeling dust in residential projects. Brian has worked directly with contractors and homeowners across the country for several years, learning what is most important to both audiences. He has an MBA in Finance from University of Chicago. Brian is very active in the remodeling industry and its many associations.